When anyone thinks about the flowers of Japan, their first thought will almost always be of cherry blossom. And almost without question, this spring flower is deeply rooted into Japanese culture. But it’s the chrysanthemum that is woven into many aspects of both Japanese life and culture. Whilst considered by many to be a native of Japan, it’s believed that it wasn’t introduced there until the 8th century. Since this time, the Japanese have gone on to adopt what we in the West consider a simple flower, more often than not used in funeral arrangements. To the Japanese people, the chrysanthemum is a great symbol of the sun and it was worn by Japanese warriors as they took their pledge of courage, before going into battle. In more modern times, it graces the cover of every passport in Japan. It’s hard to find another flower that any other great culture has attached so much symbolism. 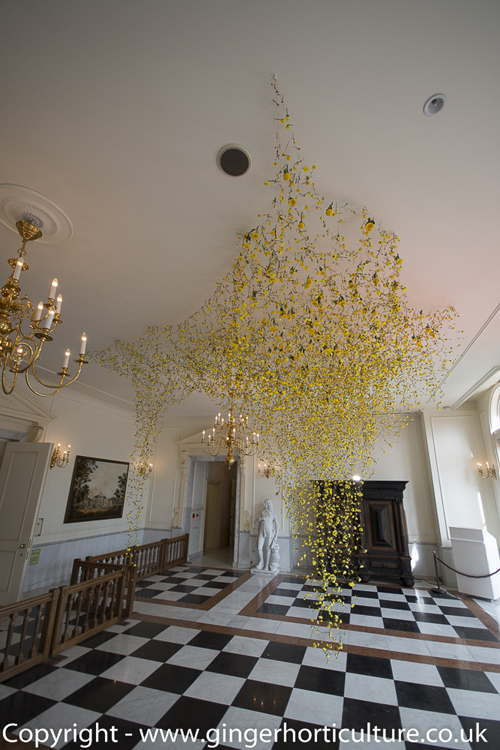 Taking this symbolism as inspiration, the renowned installation artist Rebecca Louise Law supported by her team of assistants, created a floral installation in the entrance hall to the replica of the Dutch Royal Family’s residence, Huis Ten Bosh Palace, in the Dutch theme park that shares its name. The park is located little more than an hour north of Nagasaki, in Japan. 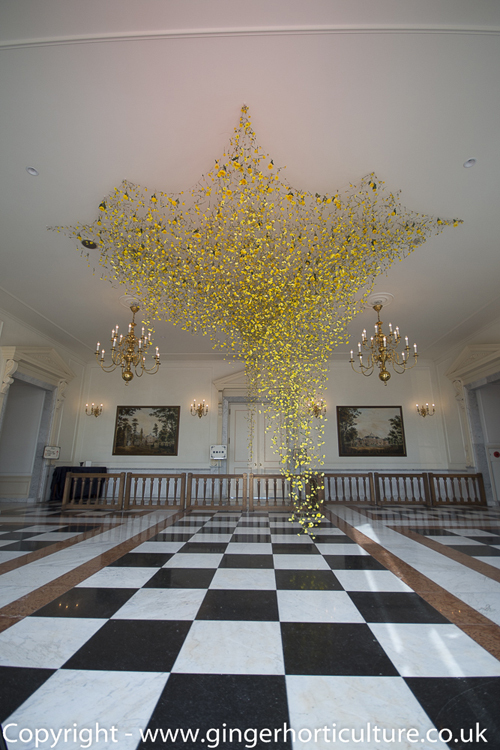 This stunning installation, called ‘The Yellow Flower’, was made up of over 10,000 chrysanthemums and 1,000 metres of fine copper wire. 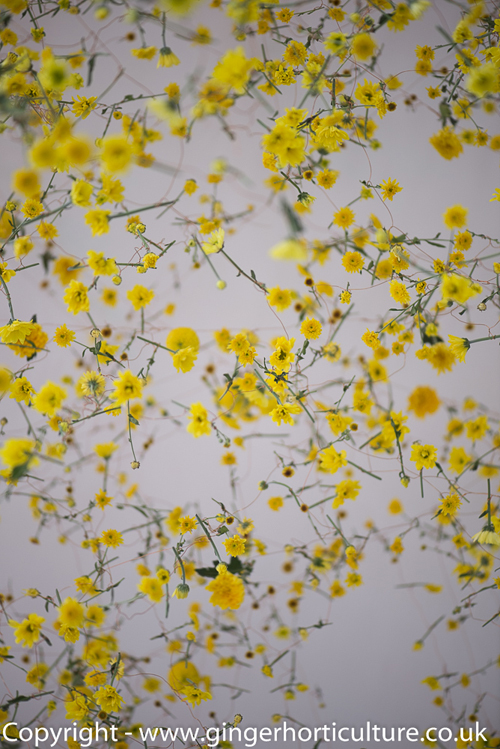 As the visitors came into the room, they were encouraged to immerse themselves in the flowers. Some less restrained Japanese, as well as several garden designers who were working outside the palace at the Gardening World Cup, took to lying on the floor to gaze up into the yellow flowers. 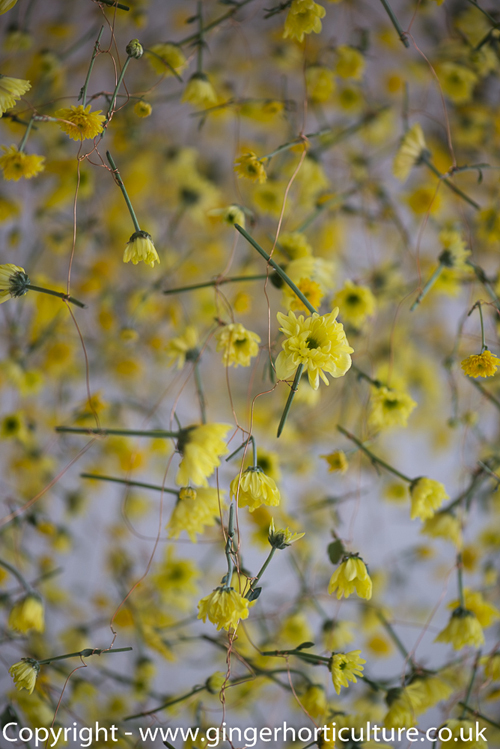 Each of the flowers was suspended on fine copper wire. 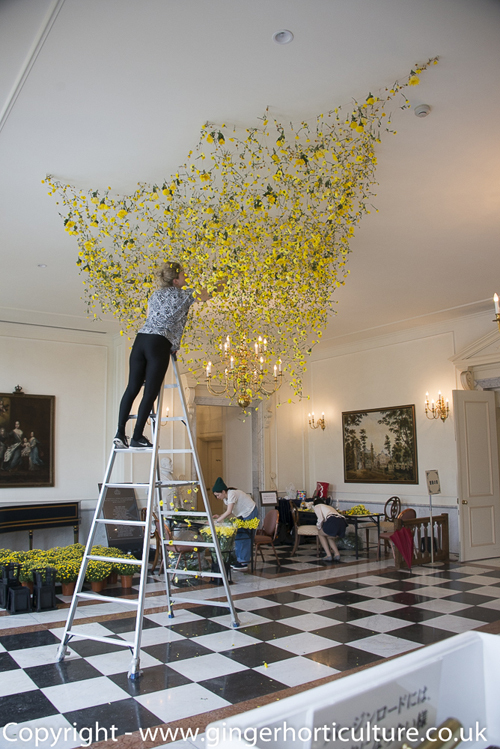 It is hoped that they will remain in place for several months, allowing them to dry, Rebecca said ‘By preserving the flowers, I hope that the viewer will also take time to study, reflect and reassess the value of this flower, with its rich history and symbolism’. 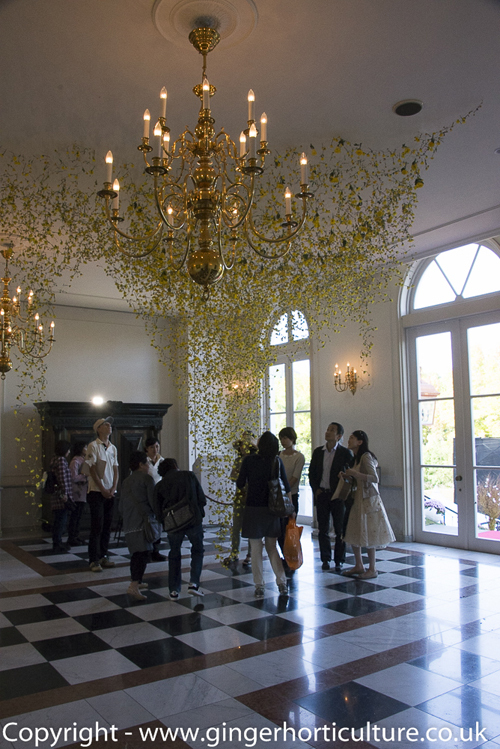 For the first two days of the installation being opened, Rebecca spoke to an intrigued Japanese audience, more used to small delicate flower arrangements and large Ikebana displays, than impressive floral installations, especially those that filled a room with its glorious yellow presence. 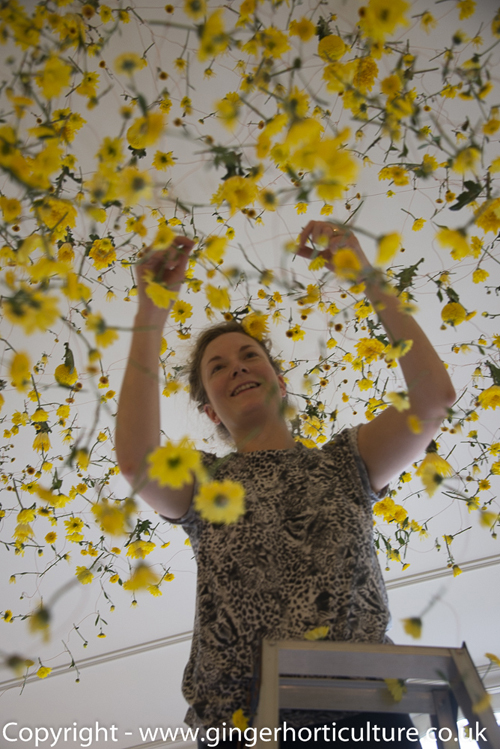 Rebecca is an installation artist who uses flowers as her medium. 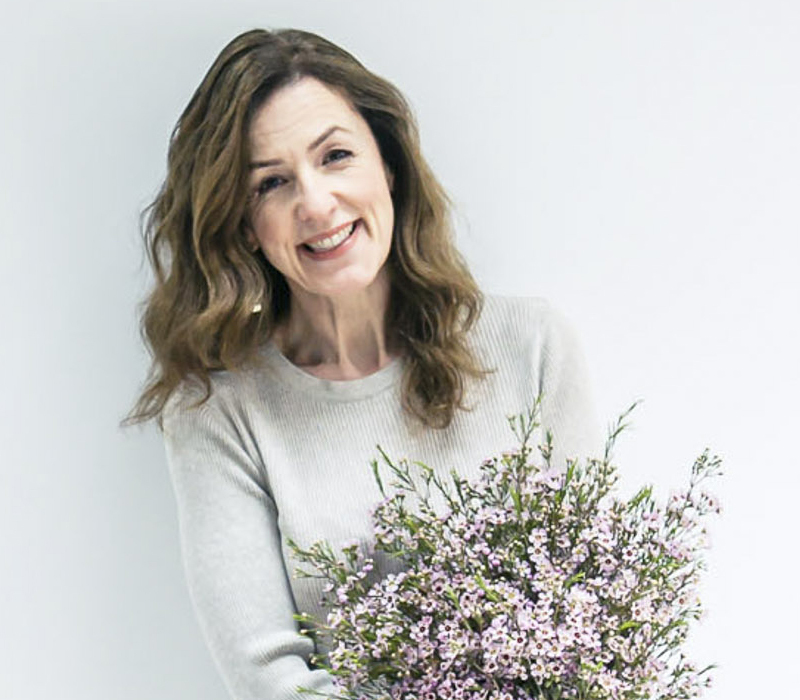 Born in Cambridge, England in 1980, her family history is rich in both gardening and art, with her family tree stretching over six generations of artists and gardeners. As a child, she was encouraged to engage with nature and observe it fully. This evolved as she grew into an art practice and when she studied Fine Art, her focus was on using flowers as the main source of inspiration. Over the past 17 years, she has created installations throughout Europe in exhibitions, community projects and events. This was her first Asian installation. Rebecca said she was ‘incredibly excited to be making it in Japan. Japan has always inspired me with its beautiful crafts and love of nature’. Here are some more photos, including some of Rebecca creating the installation. Thank you so much to Jonathan for this lovely post. 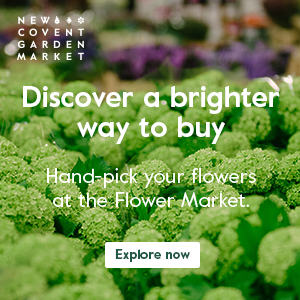 If you’d like to read more about Rebecca, here’s an interview with her on Flowerona last year. What a beautiful installation. I like the color and the small flowers!